Terrorism continues to inflict suffering and pain on people all over the world, despite countries having spent billions of dollars in countermeasures. It indiscriminately affects people of all ages and countering this scourge is in favor of all nations of the world. To consolidate and enhance the countermeasures, the world must embark upon an accord to stretch primary education to eradicate this menace from the roots. Vulnerable and innocent, no children are immune to the distressing effects of terrorism, whether they live in America, Iraq, or Pakistan. Despite being a nuclear power, Pakistan has been badly shattered over the last decade by terrorism. To state the worst, it has overshadowed education sector the most. Hundreds of schools got blown up in militancy-hit areas, and used instead as a militancy dispersion base camp. Quite recently a major devastation hit a children's army run school in Peshawar when armed men continued to spew bullets point-blank on students for several hours, killing around 150 children and injuring double this figure, putting all of the country in a state of emergency. Despite militancy threats against the education sector, particularly related to women's education, Pakistan continues to nurture brilliant minds and initiatives derived from aspiring youth. 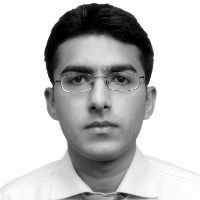 From Arfa Karim, a Pakistani student and computer prodigy who, in 2004 at the age of nine, became the youngest Microsoft Certified Professional, to Ali Moeen Nawazish, a Pakistani student making a world record by scoring 21 A's in A Levels, the world continues to see bright young minds emerge from this region. The difficult situation has also given birth to some innovative ideas of teaching and learning. From technology parks to e-learning platforms, several projects have been approved by the government to give the country encouragement to deject militancy mind-set. Amidst devastating events, Pakistan has risen up against such threatening calls by putting more vigor into the education segment. With entrepreneurship and social enterprises on the rise across the world, quite recently Pakistan participated as a local event organizer of the world's biggest student competition, the Hult Prize, which is partnered with the Clinton Global Initiative targeting social good worldwide. The competition crowd sources innovative ideas from students, asking them to solve prevailing social issues around basic resources like food, energy, education and security. The winning team gets one million USD to get started and make their concept a reality. The 2015's challenge is allied with techniques to foster early childhood education in the urban slum. The challenge was introduced keeping in mind the millions of poor children kept from going to school, resulting in knowledge gap, lack of cognitive brain development, and overall increased crime rates. Since the theme of child education closely aligns with the immediate required agenda for developing countries inside South East Asia, a large representation of students was expected from this region. This year, however, the Hult Prize Foundation decided to host local, quarterfinal competitions at some of the prestigious universities around the globe, with the winning teams advancing to the regional global finals held in Shanghai, Dubai, Boston, London and San Francisco. Pakistan, despite being a developing country facing problems like illiteracy, poverty, war against terrorism and economic instability, fosters intelligent minds ready to cope up with challenges, and is in need of a platform to implement their ideas. 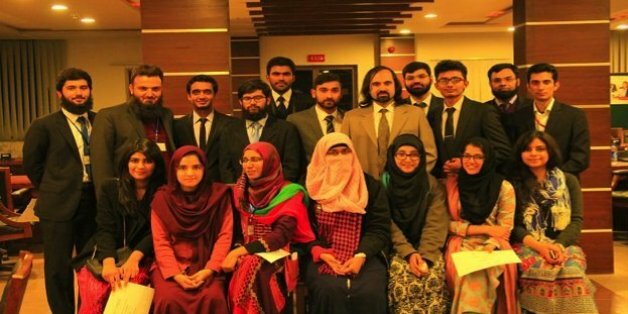 From all of Pakistan, only the National University of Sciences and Technology (NUST) received the honour to hold a local event, wherein the selected team would represent the school in the international regional finals. The event at NUST was held on December 11 and turned out to be a big success. A record 160 teams registered, from which 11 were shortlisted by a panel of four judges having expertise in enterprise startup, technology incubation, and early childhood education. NUST hosted the local Hult Prize competition in partnership with National Rural Support Programme (NRSP) and PLAN Pakistan, who offered cash prizes to the winning teams. These organizations are continuing to play a leading role in the encouragement and protection of child rights and their step of taking the lead to encourage local talent through financial and technical support were much appreciated. Much enthusiasm was seen at the event from the participants as all were determined to be the host team of NUST in Dubai. Having all teams pitched their ideas; the judges finally decided with 'Julbul' as the winner, whose idea was to empower the slum child's family through easy income generation opportunities. "It's not every day that you have an opportunity to change the world" said Husnain Saeed, Campus Director NUST, "One of you will be representing all of us at the upcoming Hult Prize Regional Finals happening on March 13, 2015. This is our chance to show the world that Pakistan is dedicated to Impact. See you in New York!"